If you are reading this page then I guess you’re either really bored or you liked the blog enough to find out what else I blather on about. If you like what you read then please shop through one of my affiliation links below. This way you can support the blog while still spending your hard earned cash on new hobby stuff. I earn a small percentage of commission through the affiliate links when you purchase something. It isn’t much, and I don’t believe there is a lot of traffic visiting my site, but every little helps. This is true both monetary and motivationally. Especially the later, when I see some one has bought something I like to think that an article on here has inspired someone to try something new – that’s a good feeling. So if you want to buy a product I have linked to, or just shop in general, please use the links on my blog. Thank you very much. Goblin Gaming the cheapest online store I have come across – seriously go check them out. Not only that but THE BEST customer service experience I have ever had. Hence, I wholeheartedly recommend buying through their webstore. What are you still reading this page for? Go buy some new shiny models. Here is the link just in case you managed to navigate this page so far without stumbling across it. 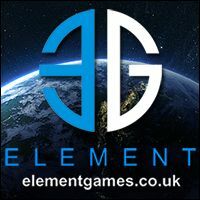 I am also a member of Element Games affiliate scheme, and have used them as a store for quite some time. So why change to Goblin Gaming? Well more and more I have been finding myself using GoblinGaming because it has been significantly cheaper for the products I have been buying recently. My own sense of morals mean I can’t link to EG’s products if I bought them cheaper somewhere else. That said by all means use the link if you wish. Based down in Stockport, Manchester. These guys tend to be around the 10% off RRP for what I am usually buying. Hence Goblin Gaming overtaking them as my favourite. Their customer service is OK, I have had some long waits for product to be ordered in though, which can be frustrating given their on screen information at times. Still a good company to order from though. Clicking on the following links won’t support this blog at all as I am not affiliated with these retailers. However, in the interest of fairness, I have also spent a substantial amount of my hobby money over the years with the following online retailers, and have no problems recommending them to people based on my experience using them. Firestorm Games, based down in Cardiff. These guys tend have about 10% off RRP. So are not always the cheapest product out there, but they do have a low free shipping value. I haven’t used them for a while now, but I have only good things to say about their customer service. I’ve also gamed in their old gaming centre, I’ve heard the new store is miles better. The Outpost, based over in Sheffield. The discount seems to range through out on their products. Sometimes you can be paying more, sometimes less for a given item. Free shipping over a certain value. Probably used more recently than Firestorm, and their customer service was equally as good. I have gamed at their old stores location, even won best painted there. I hear their new place is bigger and better. Chaos Cards, down in Folkestone. The discount varies significantly across a given product range. Sometimes though you can find a real bargain, I think they must adjust their discounts depending on how things are selling. Low free postage level!!! Good level of customer service too. Shae Konnit Games, famous in the “Human Sphere” for providing an Infinity the Game split box service. Get that particular model without having to buy the whole box/blister. This is 99.99% what I used his service for. However, he also has a standard online webstore which I have only used maybe once or twice, so cannot really comment on that. His split box service though is amazing – highly recommend that! I have used other online retailers but I keep coming back to those above because I have found their customer service to be second to none. Do you want to contact me? Then use the form below.